On a brisk fall evening, what better to warm you up than tequila. 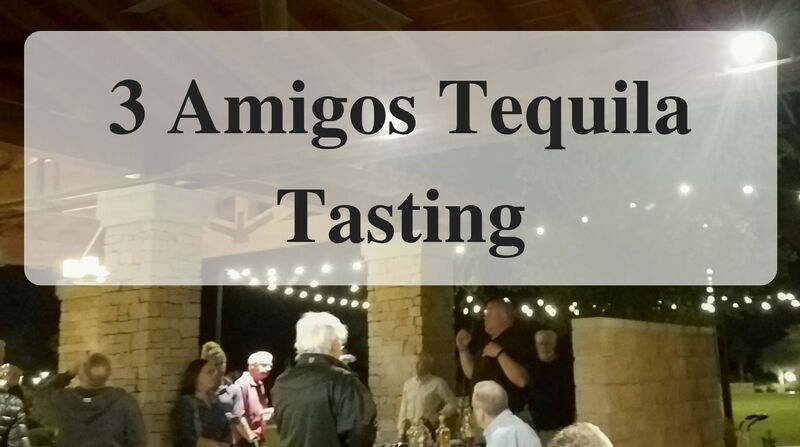 In October we attended the 3 Amigos Tequila Tasting. 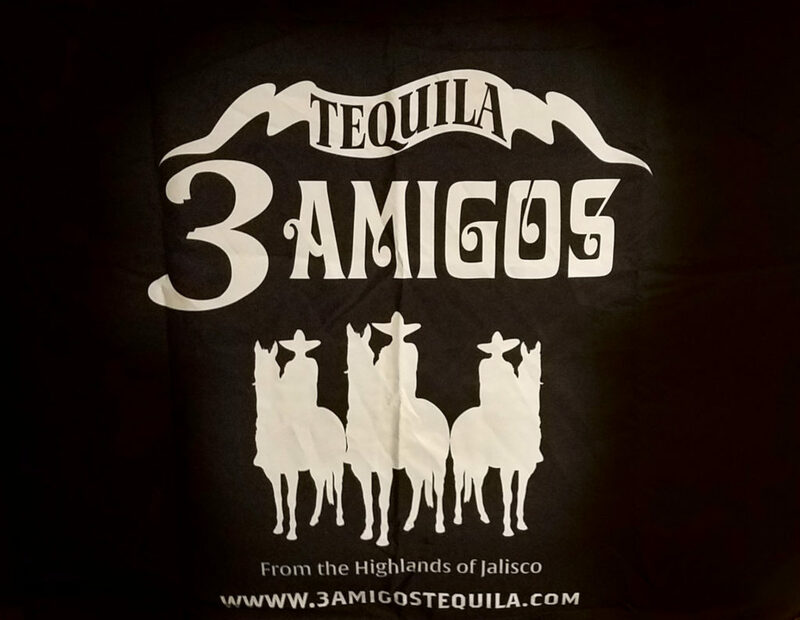 We learned about how tequila is made and the history of the 3 Amigos Tequila company. I was prepared with my coat and long pants to keep me warm. Not knowing what the temperatures would be like as the event was held outside. It was a great set up because there was a roof over our heads but an open-air seating with no walls. They had a fireplace lit. With many chairs set up around the fireplace. This is where we started, in comfortable chairs by the fire to listen to the presenter from 3 Amigos Tequila. Blanco – It is made from 100% Ripe Blue Agave. The Blanco is grown in Los Altos de Jalisco. It is crafted for sipping and making premium cocktails. Reposado – Is Blanco rested in charred white oak barrels for eleven months. The Reposado inherits traits of the charred barrels and has the hints of blue agave. Añejo – is Blanco and aged for two years It soaks in the traits of charred white oak barrels. It is reported to carry an initial taste of agave, wood, vanilla, light caramel body. Extra Anejo – Comes from 100% Blue Agave Tequila from Los Altos de Jalisco. It is then aged for 8 years in white American charred oak. Ramona’s Reserve Tequila Liqueur – It is infused with the “Double Gold” award winning 3 Amigos Anejo Tequila and 100% Blue Agave nectar. My favorite was the Ramona’s Reserve Tequila Liqueur because it was smooth. I can see myself sipping that liqueur. 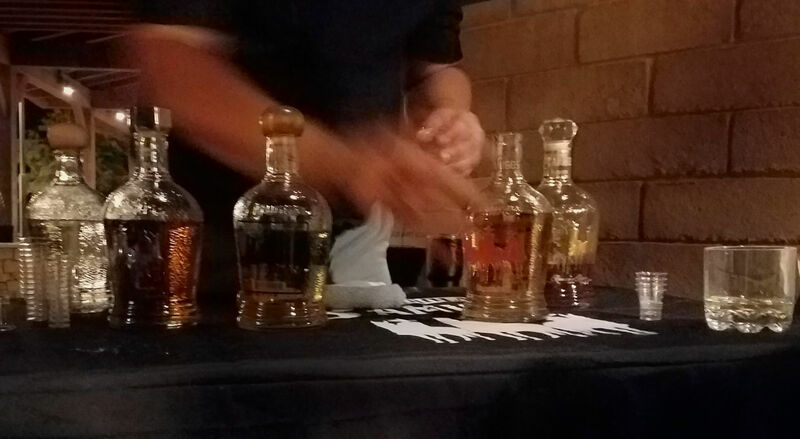 Have you been to a tequila tasting? If yes, where was it? I have never done a tequila tasting although I have tasted tequila as part of a flight at a distillery before. I still prefer it in Margarita’s, but I have gotten to the point where I can tell if it’s a smooth one or not. Amazing how different they can taste! Wow, that sounds so cozy and fun! Love the fire! I would love to try this! Thank you for sharing the details of your visit and I’m adding it to my list of places to visit! Never been to a tequila tasting. Sounds fun and interesting. This would be so fun! I will be watching for one. Very interesting. I love learning about the history of things and it’s so much fun when it’s in a sort of event form. I love good quality tequila. The tastes are so smooth and some so smokey. Really taking your time to sip tequila can show tasters how different and unique they really are. Not just for doing shots. I have not been to a tasting. Bit it looks like fun. What a great way to test different flavors to find the on u like best. Thx for sharing! This was super interesting. I’ve never done a tequila tasting. It looks like you had a great time!